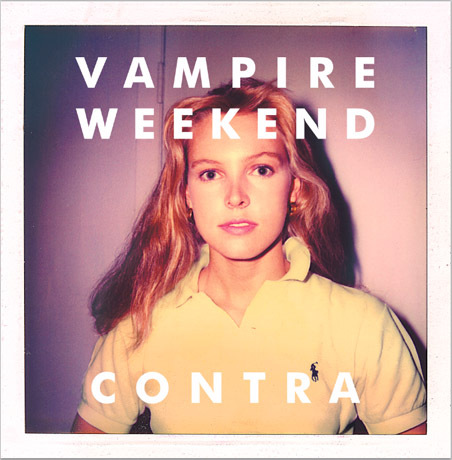 It turns out that lovely 80s blonde staring out on Vampire Weekend’s “Contra” album cover wasn’t in on that. Or so she says — Kirsten Kennis is suing the band for unauthorized use of her photo and she wants $2 million. The band got a release from the photographer, but Kennis claims the signature was forged. I guess that’s what you get for trying to be all indie ironic. They’re wishing now they just went with the four-guys-against-a-wall shot….